But What If There’s No Chimney? Are you looking for the perfect Christmas gift? 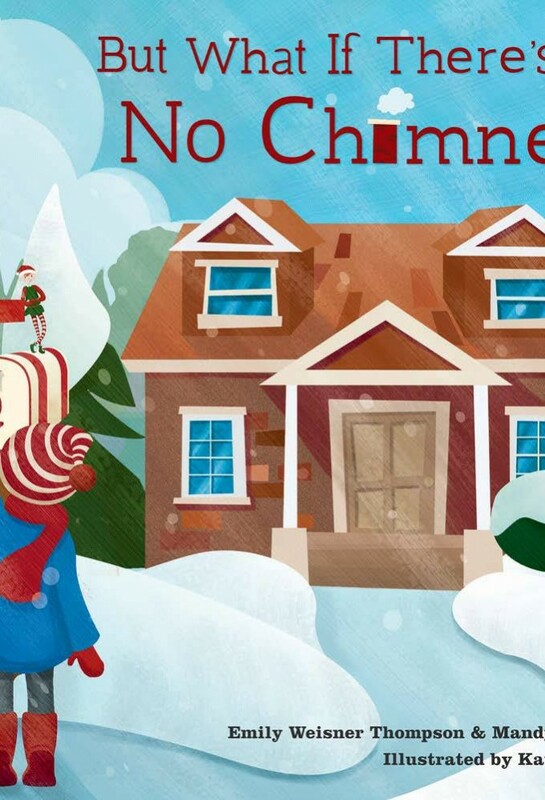 Do you know a child living in a house with no chimney? We’ve got something new for you! Santa’s Elves help Santa respond to letters sent from all over the world, and one of the most common concerns expressed in these letters is, “Santa we don’t have a chimney. How will you get in?” Some children offer suggestions while others just want to make sure Santa is aware of the challenges. 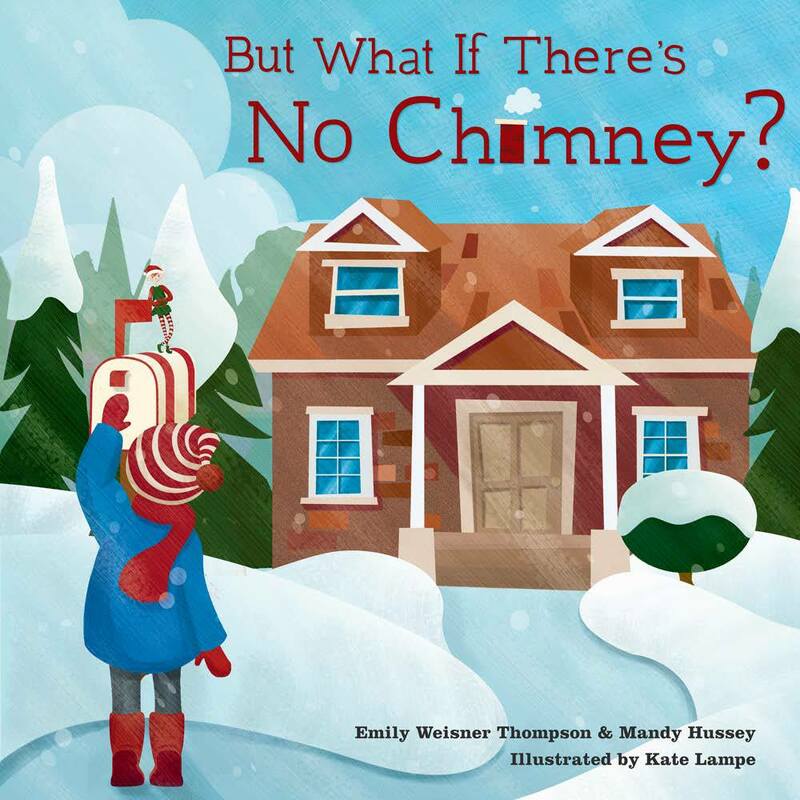 With these letters in mind, Assistant Elf and Santa Claus Museum Director Emily Weisner Thompson has authored a new book called But What if There’s No Chimney? In this story, five-year-old Ben is new in town and is shocked to find his house has no chimney. How will Santa get into his house to deliver gifts? As Christmas approaches, Ben looks for answers, asking his dad, friend, teacher, mailman, and even his dog! Ben’s search ends with a letter to Santa Claus, Indiana. Will Santa reply, and what will he say? In addition, Checkermint the Elf is hiding on each page, just waiting to be discovered. 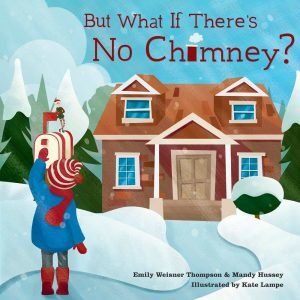 But What if There’s No Chimney? has just been released and is available in the Santa Claus Museum Gift Shop, and online at Amazon.com. Proceeds from the book benefit the Letters to Santa Program and Santa’s Elves. Wonderful idea! My mother was born in Santa Claus in 1910, and my twin sister and I were two years old when we visited Santa Claus Land . That was 1947! I have grandchildren now and I will be sending their letters to Santa! So happy that Santa Claus Indiana is growing and doing well! My Grandpa must be the wisest man in the country for he explained to me some 60+ years ago, when I was little more than knee high to a grasshopper, how Santa solved the problem of the lack of a chimney. Even when the chimney was way too small for Santa to fit Santa could still deliver the gifts. Santa uses "Elf'n magic"! Santa carries around a key that does not fit any door in particular but when Santa sprinkles Elf dust on the key and then passes the key over the door lock the key magically and mystically changes into the correct shape and size for the door to the house. Santa then opens the door, delivers the presents and locks the door again when he leaves. Mom said that Santa once forgot to relock the door when he left but dad said that it we he that left the door unlocked and not Santa. Grandpa also said that if a good little boy or girl leaves a key in a "secret" place for Santa then Santa will use that key instead. But since any key will work, even a wooden key, Santa says not to leave your real house key in the "secret" place because a Grinch might find it and then steal your presents. This would ruin anyone's Christmas. Merry Christmas to all! Thanks for the great story! Merry Christmas!